Always keep yourself hydrated by drinking sufficient water to ensure good skin. For an extra boost, you can add lemon or lime juice to your water. Also, don’t spend more than a few minutes in the shower and use lukewarm water to avoid skin dryness. Use a moisturizing body wash for a protective moisture barrier for your skin. Make sure you remove all your makeup and clean your skin before sleeping. Remember, clean your skin every morning. This allows the skin to do the necessary protective and renewal functions well. Exfoliate your skin at least once a week and do it at night rather than during the day. Your skin renews at night, so removing dead skin before sleeping improves the skin’s function. Exfoliate slowly, just to remove dead skin and if you have oily skin or you have acne then exfoliating once in two weeks. Wear sunscreen every single day of the year to protect your skin, even during rains and winter. Ultraviolet rays are slow agers which can damage your skin all over the year. Sunscreen will protect your skin from any kind of harmful rays. Consume more greens and less sugar and caffeine in your daily diet. Sugar enlarges the effects of aging and can also worsen your condition of the skin. Sugar activates swelling and binds to the collagen that can make your skin rough. Beauty specialists suggest keeping your skin moisturized. Therefore, after washing your face, make it a habit to apply moisturizer. This will delay the beginning of fine lines and wrinkles. You can try out anti-aging face masks, face packs, and facials more frequently than before for glowing skin. You can even try out honey and egg whites face masks once in a week. This will improve the texture of your skin. Fruit facials restore skin deeply, renew skin cells and also give you young and glowing skin. 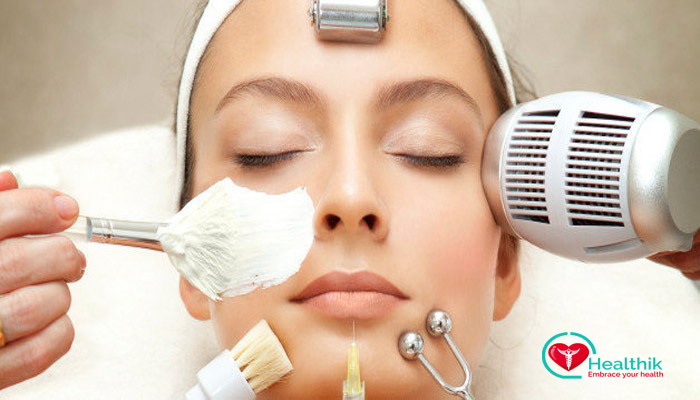 The desire of getting soft and glowing skin may seem impossible, but with little concentration and determination, you can get it within a few weeks. And if you employ these tips regularly, you will notice a big improvement in your skin health and your skin will become more beautiful, glowing and soft every day.